Excellent Versus Great Piano Playing. What determines excellent piano player? Here are a few strictly musical goalposts of excellence. However, Vladimir Horowitz, pictured above, fits into the great category. Few if any wrong notes. Preferably, none. Adherence to the tempo, except when otherwise notated by the editor. Adhering to dynamics (i.e. forte, piano, mezzo forte etc). Playing the correct tempo at a steady pace. Here is a verbal description of the difference between excellent and great. 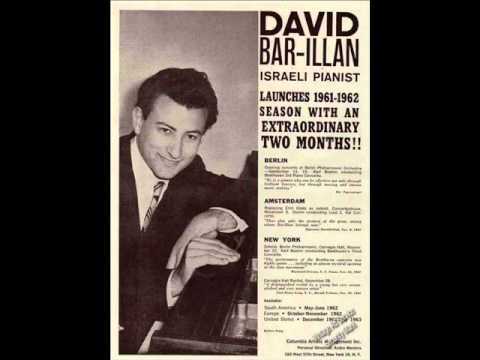 David Dubal interviews pianist bar-Illan. For this blog I quote and paraphrase: Reflection from the Keyboard:The World of the Concert Pianist. It is written by David Dubal. Mischa Kottler told me a most amusing story about Cortôt. In Paris the public loved a good bet. Cortôt also had numerous memory lapses. Everyone still loved him. However, his audiences in would actually place bets as to how many times he would forget the music. Regardless, Cortôt’s pianistic interpretations thrilled all that listened to him. Pianist David Ohrenstein is offering piano lessons in Sarasota.